The Sacramento River winds alongside Fernwood Ranch for 2.5 miles.Photo by Michael Nelson. The most well-known of the ranches that the Rickerts manage is the 34,000-acre Prather Ranch, home to 4,000 head of cattle believed to be the largest closed-herd in the world. This designation stems from the fact that for close to 30 years no other females have been introduced into this herd. To ensure the high-quality beef that is synonymous with the Prather name, the cows are closely monitored, fed either natural or certified organic feed grown on the ranch, and treated humanely. Mary Rickert emphasized this last point. “We make our livelihood from them. We respect them and their contributions.” The contributions of these cows go far beyond the high-quality beef that is prized by fine restaurants and their patrons. Because they come from a well-monitored closed-herd, the Prather cattle are sought-after by pharmaceutical companies for both surgical and cosmetic products. Two of the most notable contributions of these cattle are their bones, which are increasingly used for surgical implants; and their pituitary glands, which are used to make artificial skin grafts for burn patients. While Prather Ranch is the name associated with this unique cattle herd, it is Fenwood Ranch, the Rickerts’ own working ranch, that is the focus of this story. The Rickerts had managed Fenwood Ranch, where they graze 200 Prather Ranch mother cows, for several years when an opportunity arose to purchase it. All the pieces fell into place and the Rickerts became owners of the 2,200-acre property. Lying just five miles from the Redding area, Fenwood Ranch is a true oasis for residents and visitors alike in the midst of this rapidly growing area. 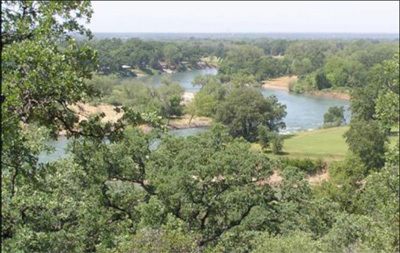 With 2.5 miles of the Sacramento River running alongside it, the ranch boasts beautiful riverfront property. Blue oaks cover the gently rolling hills and valley oaks grow near the riverbanks. Native salmon spawn in Bear Creek and Cow Creek, each of which flanks one side of the property. The Rickerts have worked diligently to improve the land; including applying sustainable agricultural practices, creating wildlife habitat, and managing the use and quality of the water. The Rickerts’ son, James, helps manage the property and is conducting a huge restoration project in the property’s historical China Garden area, where Chinese immigrants farmed during the Gold Rush days. Their commitment to taking care of the land and to assuring that it continues to serve as a resource for the community prompted the Rickerts to place a conservation easement on the property. 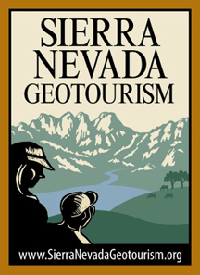 They worked with Shasta Land Trust to achieve this and said that the process “worked out quite well.” They are strong proponents of conservation easements and often advise other landowners of their benefits. The Rickerts’ support of land trusts extends to offering their property each year for a variety of community events hosted by Shasta Land Trust. Clearly, the beautiful land that is Fenwood Ranch earns its way many times over.